Forces Regrouped in World Politics? The BRICS summit will convene in China's Sanya beach resort on April 14.For the first time in the alliance's relatively short history, South Africa will participate in the forum as a member along with Brazil, Russia, India, and China, while the disquieting political settings of the early 2011 reinforce the world's interest in the coming talks between the leaders of the emerging economic heavyweights. It is clear that the revolutionary tide in North Africa and the Middle East and particularly the international intervention in Libya invite resolute steps aimed at rebuilding the international security. Importantly, at the moment all of the five BRICS countries are represented in the UN Security Council. The recent dialog between China's and Germany's diplomacy chiefs showed that both countries are keenly interested in having the conflict in and around Libya resolved as soon as possible. Beijing's logic is to give a role in the process to the African Union whose countries - in part due to the concern that Libya's falling apart would trigger a domino effect across the continent - share the view that any damage to Libya's sovereignty and territorial integrity would be unacceptable. Much of the BRICS summit's agenda will revolve around the reform of the global financial system which, in its current shape, seems unable to face the epoch's mounting challenges. Due to fundamental regards specific to individual BRICS countries, the alliance as a whole will press for greater transparency of the world's financial architecture and will attempt to put together a reform plan which will land on the table of the next G20 summit. Even though BRICS remains an informal partnership akin to G8 or G20,"the new influentials" need to make concerted efforts to offer the world an updated international relations model accounting for their convincing rise. 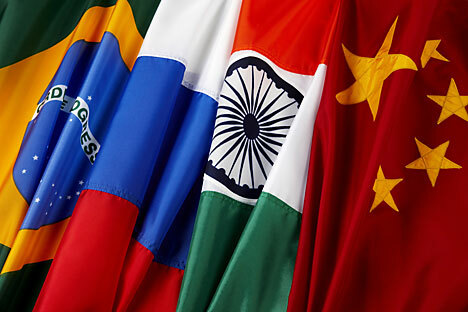 Deeper economic and technological integration within BRICS is of key importance to the mission, and the resulting benefits will certainly spread beyond the confines of the alliance of the BRICS countries whose populations combined add up to around 3 billion people and whose workforce reserves appear virtually unlimited. By all means, BRICS has a potential to emerge as the engine of global recovery in the aftermath of the lingering economic nosedive. As prerequisites, BRICS would have to achieve greater synchronism in pushing for a global financial architecture consonant with the interests of the majority of the world's population and in preserving the legal foundations of the international security. The latter are increasingly coming under pressure on earth and even in space where the arms race is also underway. Addressing the threat posed by politicized Islam would be a natural task for the BRICS summit in the light of the recent developments in the Arab world and of the war in Libya. Russia's initiatives at the BRICS summit will largely reflect Moscow's worries prompted by the Arab world dynamics. Obviously, a number of powerful global players have a plan for a global overhaul which ignores Moscow's views and, if implemented, will erode Russia's political status. The overall impression is that BRICS will be literally forced to handle every line on its agenda in the global context, no matter how narrowly practical the pertinent issues may be. The need for serious intellectual backing of the summit arises as a result. - The crisis in Libya catalyzed China's geopolitical activity which reached unprecedented proportions. The principles of sovereignty and territorial integrity are traditional pillars of Beijing's diplomacy. Chinese leader Hu Jintao formulated the position with utmost clarity on March 30 when - receiving N. Sarkozy, a vociferous proponent of the intervention in Libya - he said that the use of force aggravates rather than helps to resolve problems and that if the military offensive harms the civilian population it constitutes a departure from the stated goals of UN Security Council Resolution 1973. Beijing is open about its determination to veto an overland operation in Libya, and the position confronts the undecideds with a clear-cut choice. As of today, we witness China evolve into the center of power uniting the international majority which continues to believe in the primacy of the international law. - Germany's attitude which comes as a dissenting voice in the ranks of the Western countries is rooted in the independent diplomatic logic and the post-war ideological evolution of Europe's economic powerhouse. In Germany, the contours of the post-American world became visible to a large faction of the political establishment already in 2003 when Berlin - jointly with Paris and Moscow - opined against the US-British campaign in Iraq. Germany's intense identity search in the post-American world induced an intellectual polarization across the political class of the country which boasts centuries of philosophic tradition and strategic thinking. From a broader perspective, the new thinking of the increasingly self-aware Berlin may reflect the Western civilization's hope to retain the evasive global geopolitical leadership. Besides, the German political class, divided over domestic issues, generally comes to appreciate the benefits of loose geometry in international politics. The perception embraces as key players not only Russia, India, and China but also regional stakeholders like Iran, Indonesia, Egypt, South Africa, and Turkey. Some watchers discern the interests of German industry which cannot suffice with the EU market behind the approach. In any case, Germany has a vested interest in broad economic recovery. Estimates show that the EU top economies need growth measuring at least 3.6-3.7% to keep the respective societies healthy. At the same time, Berlin predictably expects that its standing in the sphere of international relations should become commensurate with Germany's impressive economic potential. It is indicative of the current changes that Germany tends to respond more actively to what is happening outside of Europe, as in the case of Libya. The Xinhua News Agency wrote in the wake of Germany's foreign minister Guido Westerwelle visit to Beijing that while the African countries were seldom heard in world politics, the evolution of the war in Libya towards a quagmire and the spread of the Middle East's turbulence to North Africa necessitate a rational response to the continent's problems, treating which must not be short-sighted. No less than China, Germany appreciates Africa's largely unexplored economic resources. Berlin's carefully weighed policies in dealing with regional conflicts should pave the way to Africa for the German industry and enable it to outpace the British and French rivals. - The Arab world's unrest obviously led regional-level players - Turkey, Egypt, Indonesia, Iran, and Latin American countries - to seek greater independence in international politics. Turkey's heightened profile - the independent position on Libya, the gain-oriented policies in the Black Sea region, the assertiveness in Eurasian affairs - along with the looming rapprochement between Iran and the post-revolution Egypt, Indonesia's vocal advocacy of Libya's territorial integrity, etc. show that the time has come to widen the responsibility zone of key international institutions, especially the UN Security Council. As China expert E. Bazhanov wrote, the more international institutions and dialog formats come into play, the greater are the chances that - based on collective leadership which is the concept to which the future belongs - the world overcomes crises and chaos. - The drama in Libya highlighted the decline of the influence exercised by Great Britain and France as former colonial powers. It also revived the memories of the 1956-1957 Suez crisis. The increasingly obvious failure of the snap offensive in Libya contributes to the political isolation of those who masterminded it and will eventually be held responsible for the civilian fatalities incurred. The informational backing of the campaign similarly meets with limited success, exposing the French and British leaders to fiery criticism in their own countries. A pertinent question is: which countries will be responsible for the possible expansion of politicized Islam, the surge in illegal migration from the southern part of the Mediterranean region to Europe, and the inevitable cracking of the non-proliferation regime? One gets an impression that the French and British leaders who unleashed the war against Libya lightheartedly overlooked the problem. Former French leader Jacques Chiracused to avoid dragging France into regional conflicts, fearing that the involvement might undermine the country's prestige, and in 2011, the reckoning could be even more appropriate than in 1999 or 2003. France will likely see its reputation scarred as the price for Sarkozy's lack of restraint. As the former metropolitan countries are shedding their political clout, Russia should be focusing on its place in the post-American world, especially given the fact that suggestions are made to look at it as a regional - albeit nuclear-armed - power. The Russian diplomacy should a priori formulate answers to three basic questions linked to the country's prospects for acting as an international center of gravity. - Is there a probability that the rise of the China-Germany tandem drawing Turkey, Iran, Indonesia, Egypt, and a number of other countries into its orbit will have the effect of sidelining Russia and of downscaling its role in forums such as BRICS, G20, G8, etc.? - Is Russia armed with a systemic approach to resolving regional conflicts or does it continue to act based on intuition, to rely on Washington's good will, and to churn out purely situational and often belated responses? No doubt, Soviet leader N.S. Khrushchev's reaction to the Suez problem was overly spontaneous, but at that time Moscow's decisiveness did help to defuse the crisis. Answering the above key questions in the shortest term possible would benefit both Russia and the rest of the world.